In the introduction to Big Rock Candy Mountain, Robert Stone says that a theme in Wallace Stegner’s books is a love for Western land clouded by fearful respect. He qualifies this by stating, “Of course nature – the land itself – was everyone’s enemy as much as everyone’s provider.” It was this dichotomy that led people to try to tame nature, to bend it to their will, to harness and manipulate it to behave orderly – perhaps even predictably; but certainly not naturally. On the surface, there is nothing wrong with this thinking. Just look at the fruit this thinking has born: abundant food, modern medicine, heating and air, and water storage, to name just a few. But if one digs a little deeper, there is something fundamentally wrong with it – at least in modern times. At the core of that mentality is fear. Sure, there are other motivators such as selfishness, greed, or arrogance and opposing values of love, responsibility, or duty. But I believe that today the root is fear. Fear of the unknown, fear of the unpredictable, fear of danger. Quite possibly it is a fear of death. While fear is healthy, it is dangerous if it is the only motivator, and it is reckless if it is not checked by wisdom. Wallace Stegner said that wisdom is knowing what you have to accept. At first glance, that statement seems to be a defeated version of wisdom. But upon closer inspection and a bit of analyzing, one finds that it is a realistic, cleansed by fire kind of statement. Its quality stems from a weathered and worn human being who found it and realized that it was not a lofty ideal, but a real state that comes through trial, error, and humility. Wisdom reveals a person, a community, a culture, who has not only been tamed by life, but has quite possibly tamed him or herself or itself. They have reached a point of acceptance – of people, of nature, of death – of life. It is precisely this quality that we, and when I say we I mean Americans, lack. We think that we can cheat it, control it, or out-smart it – and that is a delusion – a dangerous delusion. It is dangerous because when our fantasy meets an unmistakable event in reality it leads to cynicism, anger, and disbelief. This can have a good effect in that it can produce a sort of awakening to some, but in others it produces an insistent stubbornness to make the status quo work – regardless of what we know, regardless of the evidence, and often, regardless of the damage. But there is a certain antagonism that exists between us and nature, often split between two beliefs; either that the world is there for our taking and our impacts are just part of the process or that we should leave no trace, no impacts because all we do is tarnish the earth. Both beliefs are not only naïve, but fundamentally flawed because they separate us from the natural world as if we are an alien species here to either plunder or quietly observe. This thinking presupposes a control we do not have. We think we can protect ourselves from nature while getting what we want from it. Separating ourselves from nature makes us not only other from the natural world; it disallows us to be wild creatures living in it as well. But we are still drawn to the beauty and benefits of the natural world – we want a house in the woods, on the beach, on a cliff – but none of the consequences or dangers such places expose us to. We don’t want to face wild or dangerous animals or have our house crushed by a mudslide or burned in a wildfire and so we try to remove all the dangers, place responsibility on the government or land management agencies, or building inspectors, knowing full well we made the choice to be there. I had an interesting conversation with a friend of mine who happens to be a wildland firefighter. I had expressed to John a fear of fire shelters, that they seemed like body bags and came very close in my mind to being buried alive. He told me how the Missoula Technology and Development Center (MTDC) is working on new fire shelters in the aftermath of the Yarnell Fire that killed 19 firefighters. One of the new designs is heavier. He said he would not want to carry a heavier shelter; he doesn’t even want to carry the one required. His suggestion was to not carry a shelter at all, but stated it is an option that will never be considered. I felt a jolt of panic when he said that and asked why. John told me that if firefighters were given a choice to carry the shelter or not, most he knew would choose not to carry one. “They are too heavy and bulky,” he said, “most firefighters I know would rather be lighter and safer on the front end.” I realized that while I hated the idea of getting into a fire shelter, having one would make me feel safer, even if I didn’t like the idea of getting into one. I asked him if he had ever deployed a shelter. “No,” he said. After a minute he says, “Do you know that Canadian wildland firefighters don’t carry fire shelters?” I did not know that. “And they have fewer deaths than we do in the U.S.” My mind grappled with that for a minute before I asked the next logical question, “Why? What is Canada doing differently?” He smiled, “They don’t fight fire as aggressively as we do. They let their fires burn and manage them. They don’t risk their lives for houses in the woods. They figure if you didn’t fire safe your house, it’s your responsibility, not the firefighters.” He paused for minute and then said, “Firefighting in the U.S. is political.” Houses in the woods, I thought. Those with the most money, the most clout, and the loudest voices get the most resources sent their way to protect their views and their assets – and guilt-free because the firefighters are equipped with fire shelters as a last defense against getting burned to death. I did a quick search on the internet to see if I could find some information on Canada and wildfires. I did find that they don’t carry fire shelters; instead they have decided to focus on safety and communications. They just don’t go into dangerous situations and believe that better communications is better at saving lives than fire shelters (1). I also looked at the statistics on fire deaths. According to the records, there have been some 165 reported wildland fire suppression related fatalities in Canada over the past 70 years. This represents an average of at least two fatalities per year. There were no known fatalities reported in 23 of those 70 years. The maximum number of fatalities (16) in any given year occurred in 1955 in British Columbia, which also incurred 45% of the 132 firefighter deaths reported in Canada from 1941 to 1990 (2). In the U.S. the annual death toll for persons who died during wildland fire operations from 1990 to 2006 was 310 total deaths (3). The comparison is staggering. The U.S. has near double the deaths in a quarter of the time as Canada. Why? “The world of efficiency ignores love because by definition, it must reduce experience to computation. Efficiency, in our present sense of the word, allies itself inevitably with machinery, as Neil Postman demonstrates in his useful book, Technopoly. `Machines, he says, eliminate complexity, doubt, and ambiguity. They work swiftly, they are standardized, and they provide us with numbers that you can see and calculate with.’ To reason, the advantages are obvious, and probably no reasonable person would wish to reject them out of hand. Logically, in plentitude some things ought to be expendable. Industrial economics has always believed this: abundance justifies waste. This is one of the dominant superstitions of American history – and of the history of colonialism everywhere. Expendability is also an assumption of the world of efficiency, which is why that world deals so compulsively with percentages and safety. And yet love ostensibly answers that no loved one is standardized. A body, love insists, is neither a spirit nor a machine; it is not a picture, a diagram, a chart, a graph, an anatomy; it is not an explanation; it is not a law. It is precisely and uniquely what it is. It belongs to the world of love, which is a world of living creatures, natural orders and cycles, many small, fragile lights in the dark. What is it that we value when it comes to human and natural resources? When we look at our lands and all that they hold, do we do so with the requisite humility? Do we see ourselves as a part of it or separate from it? Do we look at it as a commodity with expendable parts where we divvy out worthwhile species, valuable commodities, and accept the loss of less valuable parts in exchange for the valuable ones? Are the lives of firefighters an acceptable loss as long as we equipped them with emergency gear? Is one life worth a house built in the woods? If we break it down to insurance policies, mitigating lawsuits, controlling public perceptions, and spurring a sector of the economy – is their loss acceptable? In weighing the pros and cons, the percentages and statistics, is it mathematical enough to sustain our paradigm without any associated guilt? Living includes risk. The world we live in is dangerous, unpredictable, and violent – but it is also life giving, stunning, and soul nourishing. We cannot incubate ourselves enough, or control nature enough to live without any threat of danger or death – nor should we. As they say, you cannot reap the benefits without incurring some risk. I am not sure what makes us think we should be immune from tragedy and death. The world owes us nothing. We have no right, as Wendell Berry stated, to ask the world to conform to our desires. Death is a part of life. Tragic, yes, but not unnatural. 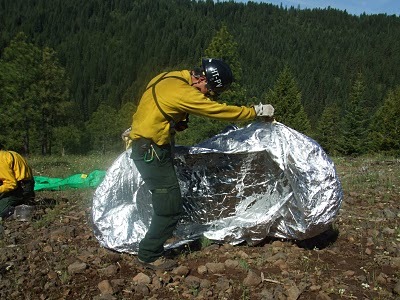 Firefighters accept the risks inherent in wildand firefighting, but do we have to accept an aggressive level of fighting fire that is less safe but tolerated due to technological advances in fire shelter design? It may excuse us of their deaths when it comes to public perceptions or political fallout – but is it a calculated and acceptable expense? And to what end? Are 300 lives saved by fire shelters enough to assuage our conscience that 300 lives were lost due to aggressive firefighting tactics? 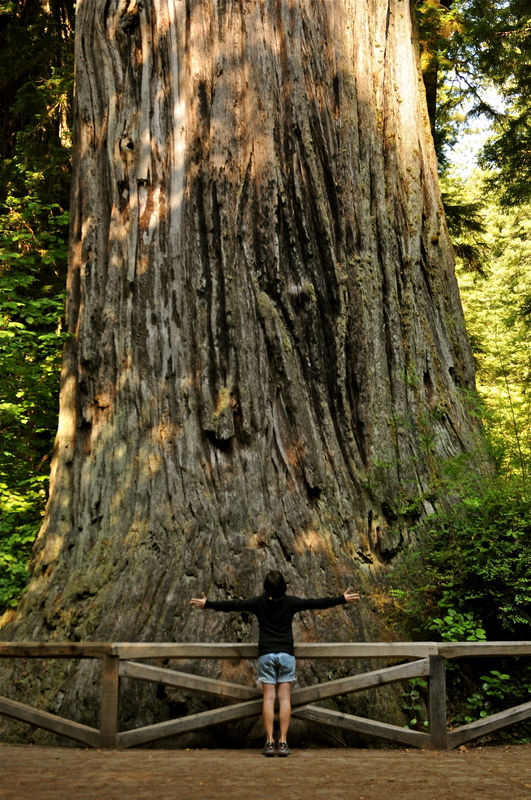 We can ask the same questions about our forests, and we should. What are we managing them for, and to what end, and how long is the timeline? As we should manage our human resources responsibly, so should we manage our natural resources – even if that means managing a fire rather than suppressing it. This is not to say that we can’t use our lands and forests, enjoy them, and try to live in them – but it does mean that we must recognize that our choices have consequences that are often bigger or more important than our individual desires. No one likes to look at burn scars on mountains. They are ugly and replace something that was beautiful, but with that death comes rebirth and a new and healthy forest – in time. Lightning and forest fires have existed long before we ever had firefighters. It is natural. 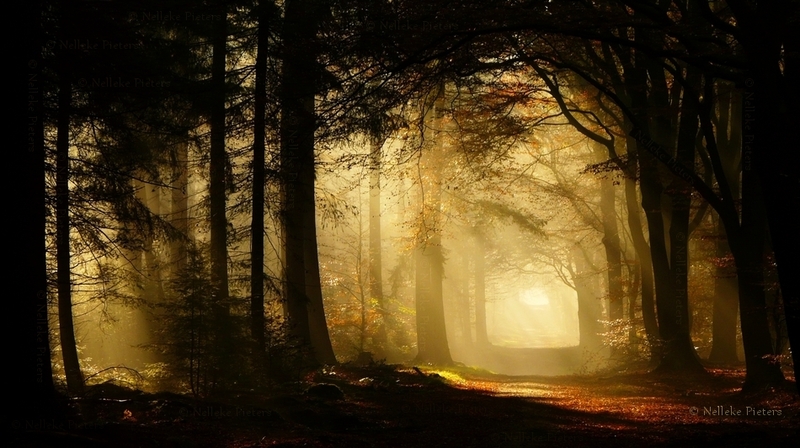 What may not be natural is building communities in the woods and expecting to be exempt from the natural phenomenon that occurs in such places. Everyone wants to mitigate risk, and we should, but it should be done with humility, respect, and wisdom. When we start to see ourselves as part of the world, it becomes us – our identity – and we treat it as such. When we do that, we learn to engage the world with love clouded by fearful respect. In other words, we join it and engage it as the parts of it it that we are. We may even take responsibility for our place in it. When we operate from that paradigm, it will be the beginning of living from a place of acceptance rather than fear and out of respect rather than cost benefit analysis. (4) Wendell Berry, Another Turn of the Crank. Posted on September 26, 2014, in Nature and the Environment and tagged Canada, cost benefit analysis, efficiency, fear of death, fire shelters, forest fires, Native American land management, Wallace Stegner, Wendell Berry, wild fire, wildland firefighting, wildland firefighting deaths. Bookmark the permalink. Leave a comment.